Can you believe Valentine's Day is just around the corner? 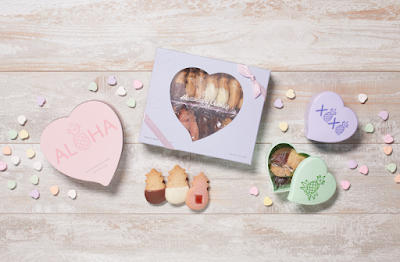 With that in mind, it's the perfect time to stock up on Honolulu Cookie Company's Valentine's Day Collection. 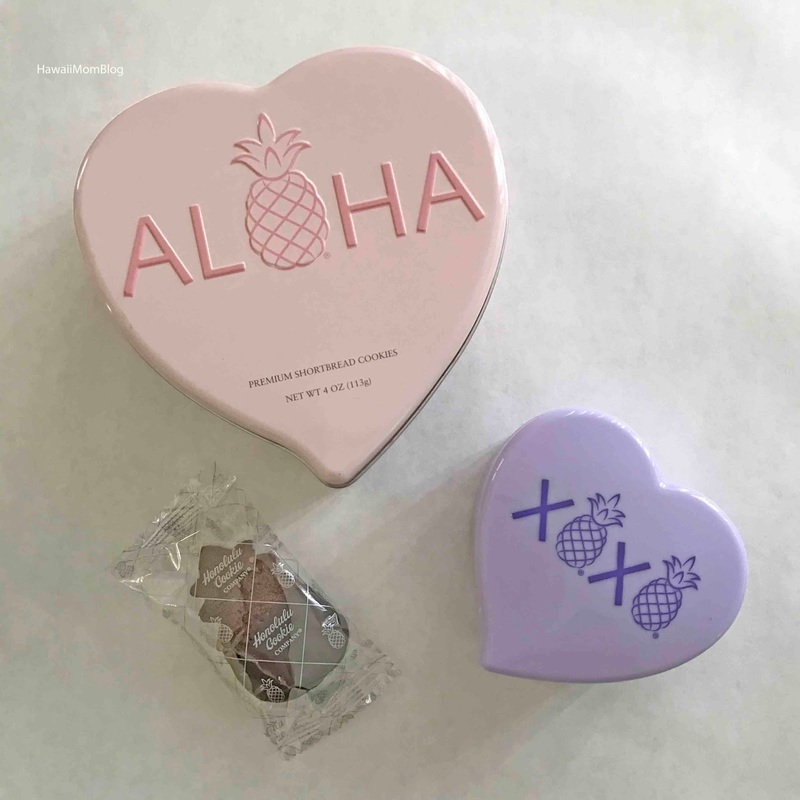 I absolutely love buying Honolulu Cookie Company's products for family and friends, and yes, for myself too! Baked fresh each day, the individually-wrapped pineapple-shaped premium shortbread cookies come in an assortment of flavors, perfect for that special someone. I enjoy the cute packaging almost as much as I enjoy the cookies! And the Valentine's Day keepsake tins are no exception. 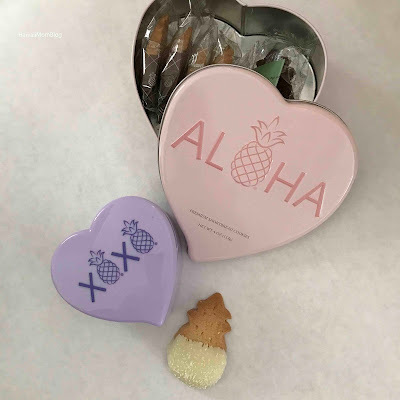 The pastel-colored packaging, conjuring up candy heart images, are offered in a lavender XOXO Heart Box and mint green Pineapple Heart Box, containing three cookies in three flavors: Chocolate Chip Macadamia, hand-dipped Dark Triple Chocolate Macadamia, and Chocolate Dipped Macadamia. The pink Aloha Heart tin holds eight cookies in four flavors, Chocolate Dipped Macadamia; Dark Triple Chocolate Macadamia; White Chocolate Coconut, and Chocolate Chip Macadamia. The large, lavender Heart Window Box comes with an assortment of 18 cookies in nine flavors: Guava; Butter Macadamia; Pineapple Macadamia; Chocolate Chip Macadamia; Chocolate Dipped Macadamia; White Chocolate Dipped Macadamia; Dark Triple Chocolate Macadamia; Dark Chocolate Kona Coffee, and White Chocolate Coconut cookies. For the full selection of Honolulu Cookie Company cookies, as well as location information for the retail store nearest you, can be found online at honolulucookie.com.